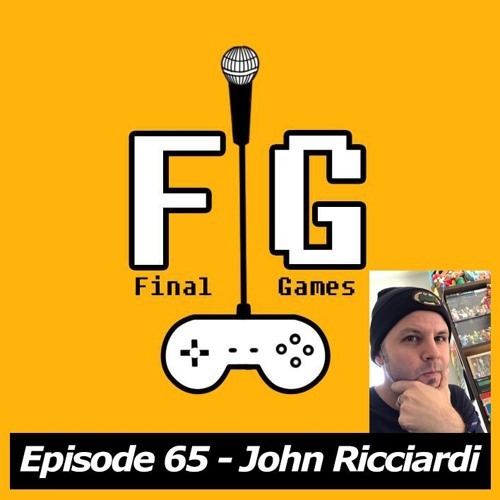 Joining Liam this week live from the hallowed halls of the 8-4 Towers in Shibuya for the first ever face to face recording of Final Games is 8-4's co-founder, John Ricciardi. One host of the 8-4 Play podcast and veteran of the localization industry here in Japan. John talks about his start in the industry at EGM, moving to Japan, localization and of course 8 incredible games, including some surprises! Also Earthquakes... Enjoy! Don't forget to follow on Soundcloud and leave a comment about what you thought of John's choices! We'd love to hear what you the listeners think of the guest's choices and let's have a lovely discussion :) You can also download this show on iTunes as well, just search for "Final Games". Please rate and review the show! apple.co/1QP0ciS John Ricciardi: @Johntv www.8-4.jp Please go check out Craig's excellent music on Soundcloud! Thank you to him for his excellent intro! @windmills-at-dawn @craigedycraig If you'd like to contact the show or Liam, or if you have any feedback please check out: @LiamBME @FinalGamesShow finalgamespodcast@gmail.com Final Games is hosted on Soundcloud at: @finalgamespodcast But is also available on iTunes, aCast and Stitcher!